• 360 cup face technology found in fairway woods and irons, precision engineered to provide consistent ball speed across the face in a forged iron head design. 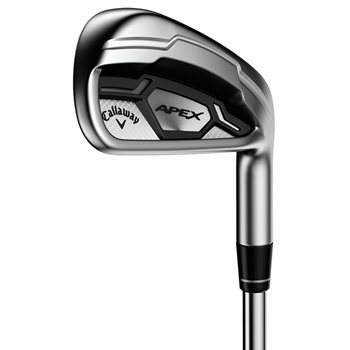 • Progressive offset, sole widths, CG height and notch weighting provide the right balance of playability, forgiveness, and control. • The longer irons feature Cup 360 technology to increase ball speeds and forgiveness across the face. • The shorter irons feature an engineered face plate to enhance feel and distance control. • Quadruple net forging, precise milling, and 1025 mild carbon steel to produce an incredibly soft feel in a forged iron.